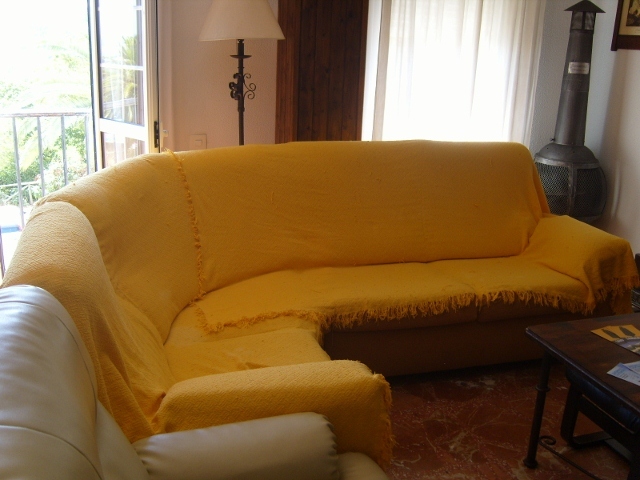 A two storey 3 bedroom apartment with amazing views of Vejer and surrounding countryside conveniently located close to tourist office and parking area which can comfortably accommodate 6 people. 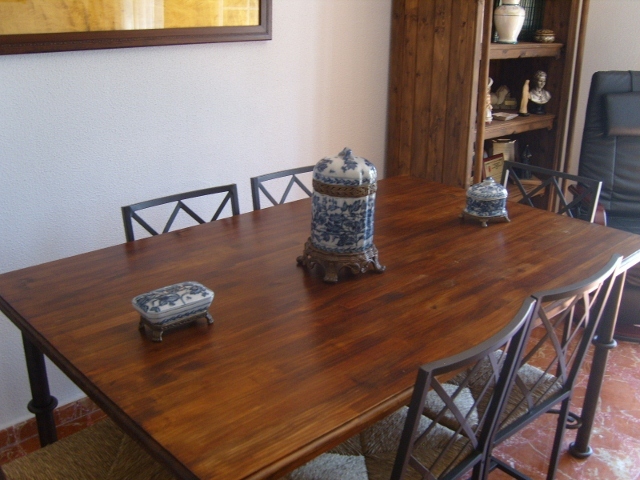 Casa con Vista is located at the entrance to Vejer old town. 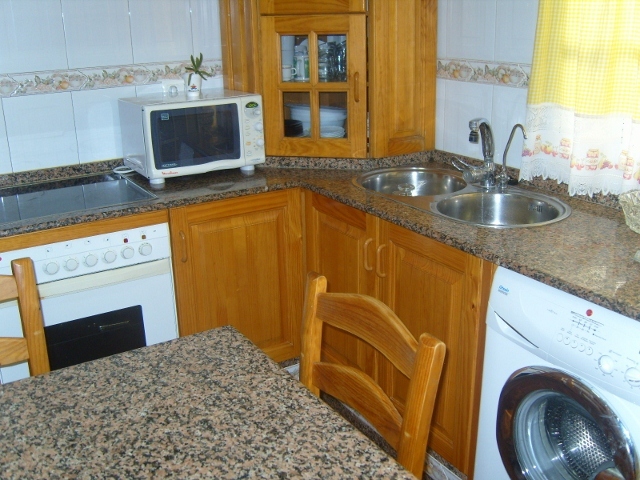 This first and second floor apartment has 3 bedrooms, 2 bathrooms, 2 terraces and a well equipped kitchen. The first floor has a large lounge with juliette balcony, dining table and chairs for 6, spacious corner sofa and hand built TV cabinets and library. There is a small shower room off the main hallway and entrance to the well equipped kitchen/diner. Leading off the kitchen diner is a large shady dining terrace with stone table and chairs which is perfect for al fresco dining. Stairs from the hallway up to the 2nd floor where you will find 3 bedrooms - 2 doubles and 1 twin, family bathroom and off of the master bedroom with built in wardrobes, the top terrace with sun loungers and offering beautiful views of the surrounding countryside and the old town of Vejer. 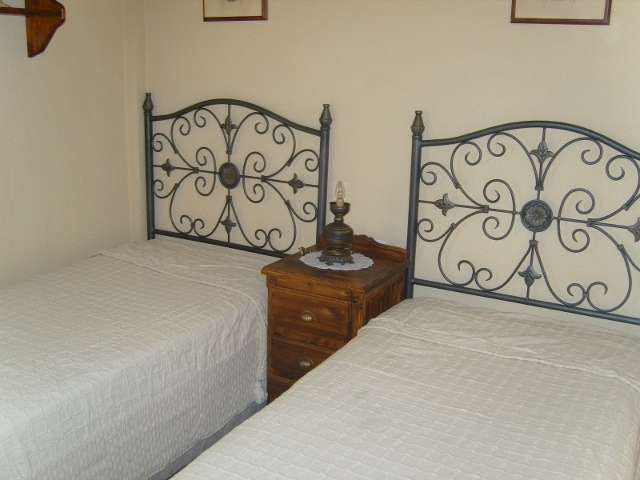 The house is cleaned prior to your arrival and bedlinen and towels are provided (not beach towels). Casa con Vistas es un apartamento de dos plantas con tres dormitorios que ofrece impresionantes vistas de Vejer y que aloja con confort a seis personas. Está situada a la entrada del casco antiguo del pueblo, al lado de la oficina de turismo y de la zona de aparcamiento. En la primera planta está el amplio salón, con balcón, mesa y sillas para seis comensales, espacioso sofá esquinero, biblioteca y muebles artesanales. 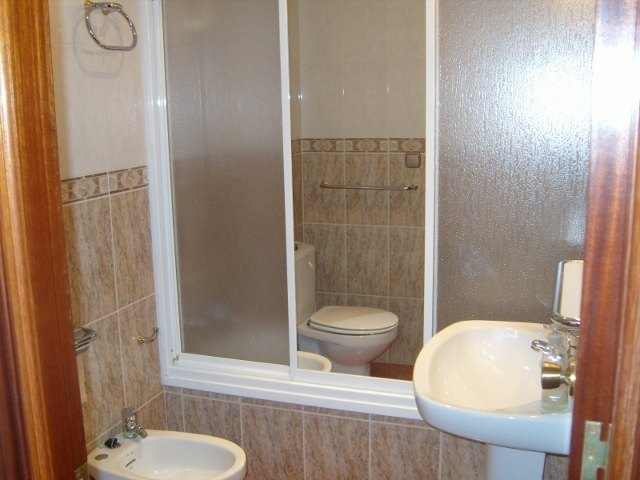 Hay cuarto de ducha al que se accede desde el pasillo que comunica con la bien equipada cocina-comedor. 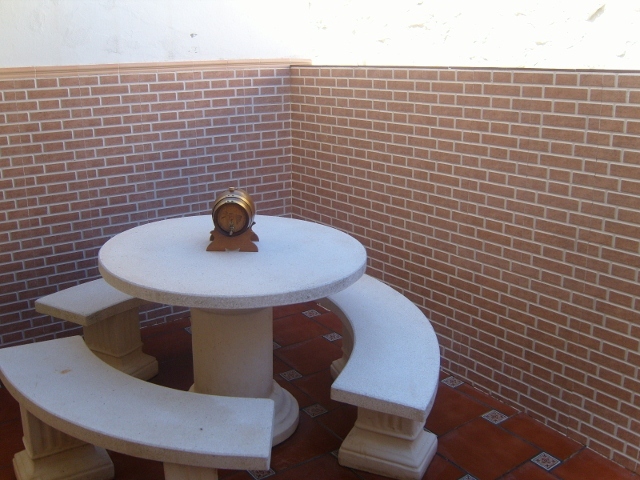 Contigua a la cocina hay una sombreada terraza-comedor con una mesa de piedra, ideal para cenar al fresco. Desde el pasillo suben las escaleras a la segunda planta donde se encuentran los tres dormitorios, dos matrimoniales y una doble. 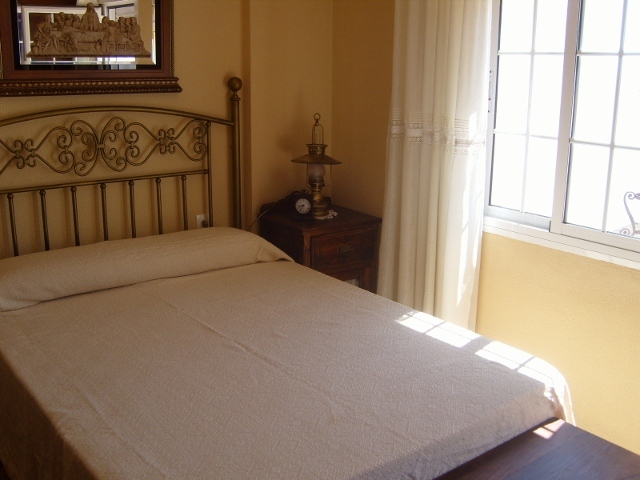 El dormitorio principal tiene cuarto de baño en suite, armarios empotrados y terraza con tumbonas que ofrece preciosas vistas del casco antiguo de Vejer y los campos de alrededor. 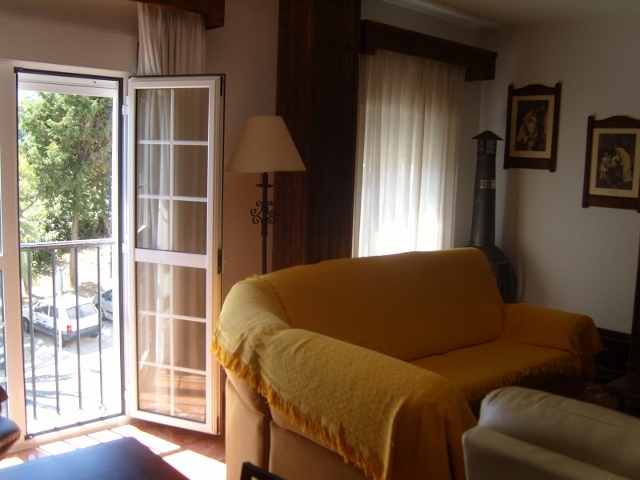 La casa se entrega limpia con ropa de cama y toallas (no incluye toallas de playa).